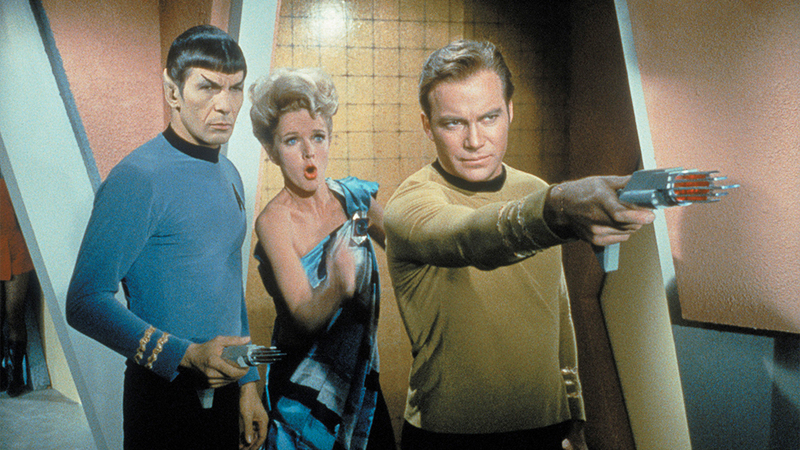 Sci-fi is a genre which is really popular in every media, be it TV shows, books, movies or cartoons. Every year there are tons of anime which are released in this genre. One of the main reasons for the popularity of this genre is that it provides opportunity to viewers to imagine the unimaginable. In ways more than one, science fiction is the ultimate escapism and that’s why sci-fi anime are among the most watched anime around the world. Anime fans have a special place in their hearts for science fiction. And that’s evident from the number of sci-fi anime that get produced every year. I am sure, you are also here because you love adventurous and action-filled sci-fi anime. Here’s the list of top sci-fi anime ever made. You can watch several of these best science fiction anime on Crunchyroll, Netflix or Hulu. ‘Toki wo Kakeru Shoujo’ is one of the best anime movies which deals with the concept of time travel. 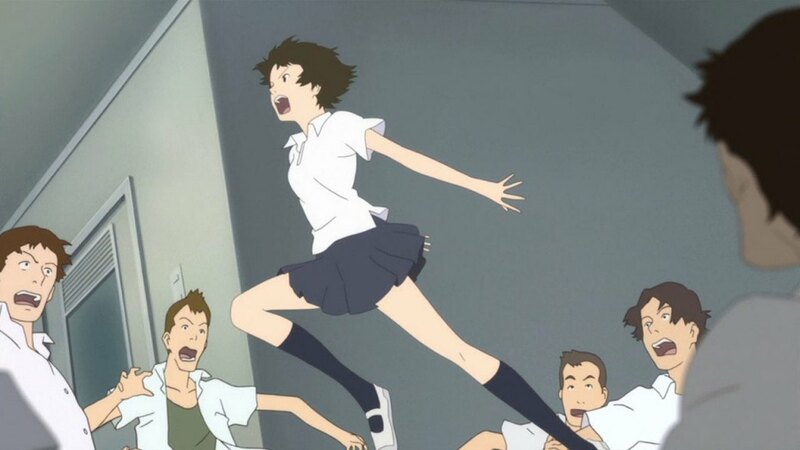 You might not be familiar with the original title since among viewers outside Japan the English title, ‘The Girl Who Leapt Through Time’, is more popular. This movie is really great and has the runtime of about 1 hour and 38 minutes. This anime is based on a light novel which has seen various adaptations in mangas, tv shows, and movies. The story revolves around Makoto Konno who is a normal high school girl. She finds out that she has the ability to literally leap through time. She is overwhelmed with her newfound power and enjoys using it for fun. But a young and naive girl like Makoto has no idea about the complexities of time. She learns it the hard way that each of her actions have consequences. 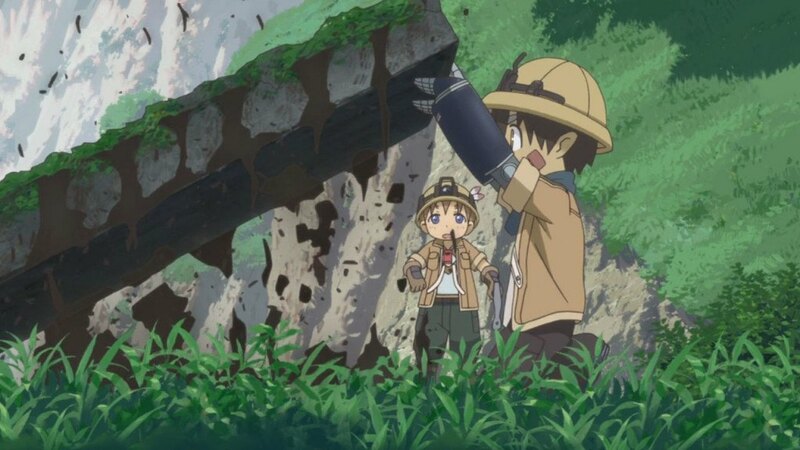 If you love adventure anime a lot and have been wanting to watch a sci-fi anime with lots of adventure then ‘Made in Abyss’ is perfect for you. This anime is also for people who want to binge-watch a decent anime show since ‘Made in Abyss’ has only 13 episodes in total with each episode averaging at about 25 minutes. This anime revolves around an Abyss which is a deep, seemingly bottomless chasm. The Abyss is filled with mysterious creatures and ancient relics. But no one knows how this Abyss came into existence or what lies at the bottom of it. Many people try to fathom the depths of this chasm and are known as drivers. Riko is the daughter one of the best divers, Lyza. Lyza has been missing for some time now after venturing into the Abyss. Riko wants to become a diver like her mother so that she can find out the truth about the Abyss and most importantly her mother. ‘Trigun’ is a really fun space adventure anime. There are not many dull moments in this anime which makes it more entertaining to watch. This anime has a total of 26 episodes and each episode is about 24 minutes long. Whenever people hear the name Vash they tremble with fear since Vash the Stampede is a man with 60 billion dollars as a bounty on his head. He seems to have the ability to destroy entire cities for fun and one does not want to be on his opposite side since even eye contact with him can damage you. But these are all rumors since Vash is nothing but a soft-hearted man who swears to have never killed anyone. But soon assassin’s are sent behind him and his group which consists of two insurance agents. Vash might need to uncover his past and cross his moral bounty if the push comes to shove. ‘Ghost in The Shell’ is one of the prime examples of how to do a sci-fi anime right. It is an extremely popular anime due to its intriguing plot and interesting characters especially the badass protagonist Major Motoko Kusanagi. Any given product under the franchise is pretty decent and entertaining. 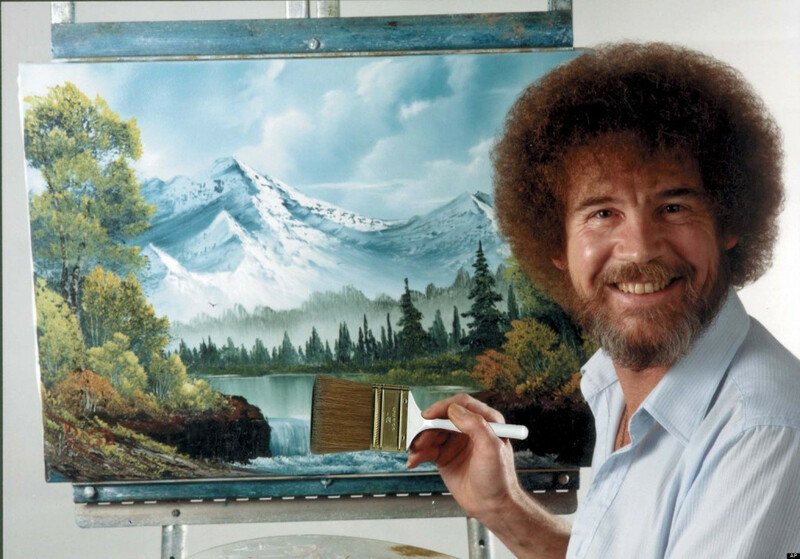 But my personal favorite is the first installment in the series from the year 1995. Due to recent advancement in Cyberkinetics, humans now have the ability to either replace and upgrade each and every part of their body including organs. 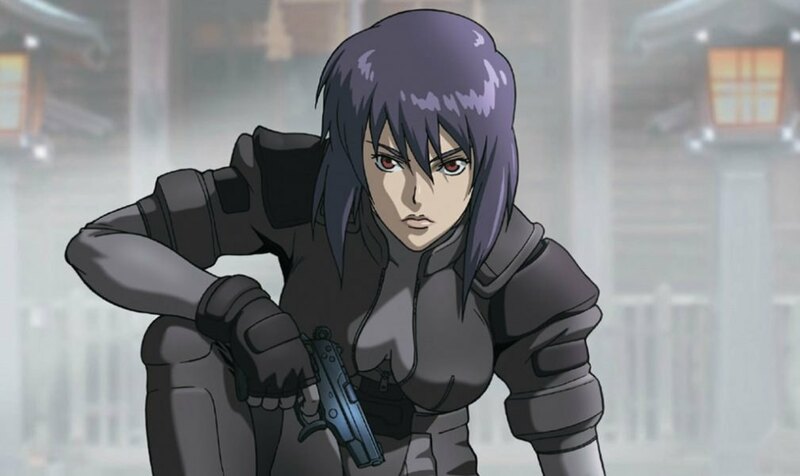 Major Motoko Kusanagi’s entire body is made via prosthetics due to an accident from childhood. 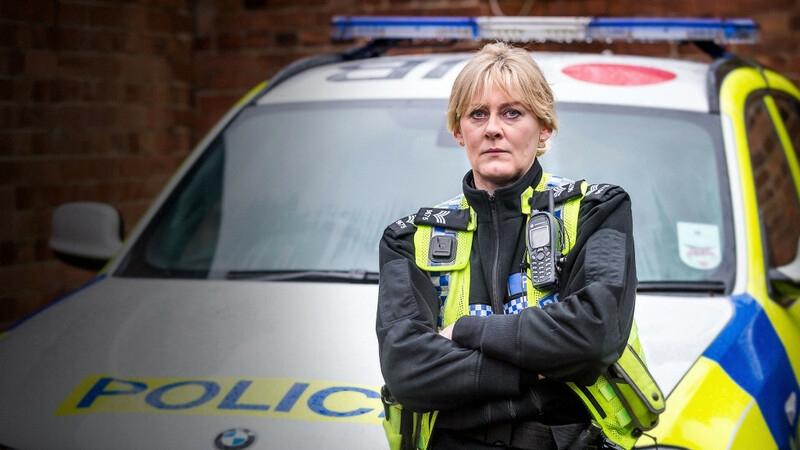 Now she works in the Public Security Section where she and her team are given a mission to investigate the terrorist hacker who is known only as the ‘Puppetmaster’. ‘Shinsekai Yori’ is a sci-fi anime which has everything from adventure to mystery to horror to psychological drama. 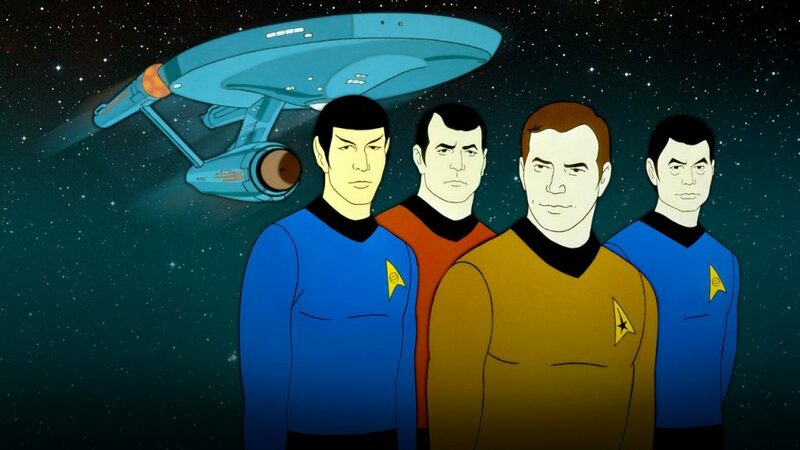 The show has a pretty decent plot and an interesting set of characters. There are a total of 25 episodes in this anime with episode having the runtime of about 22 minutes. This anime is set in Japan thousands of years from the current time. It seems that 0.1% of the population has awakened psychokinesis abilities. But the ability to manipulate matter is used wrongly by many. So, strifes and conflicts ensue. Somehow an agreement is reached and the psychics seclude themselves in a town with strict rules. 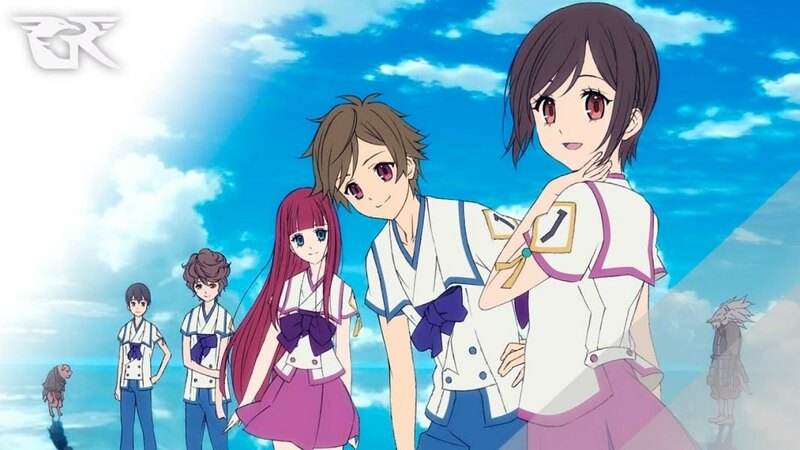 The anime follows a group of five psychic friends who try to understand the town they live in which lead them to uncover some dark secrets surrounding their society. Renton Thurston lives in Bellforest. He is a 14-year-old boy who feels that his life is boring and wants to join the famous mercenary group, Gekkostate, so that he can go on fun adventures. But his grandfather wants him to be a mechanic and follow in the footsteps of his father. Seems like that his dream will forever be a dream. But then opportunity falls right down the sky. Renton finds out that a mecha has crashed into his garage. The pilot of the mecha is a girl by the name of Eureka. She requests him to help her fix the mecha. Renton decides to help her and fixes the mecha. 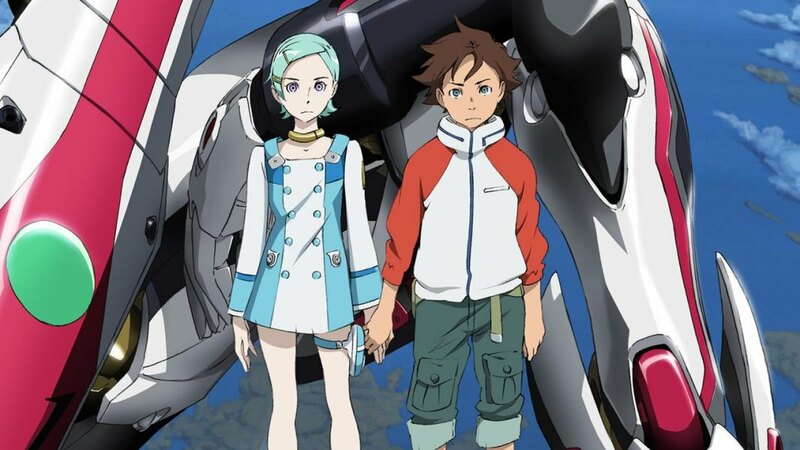 Turns out that Eureka is actually a member of Gekkostate and offers Renton to join the group as her co-pilot. The fun adventures that Renton has been wanting all this time is about to begin. 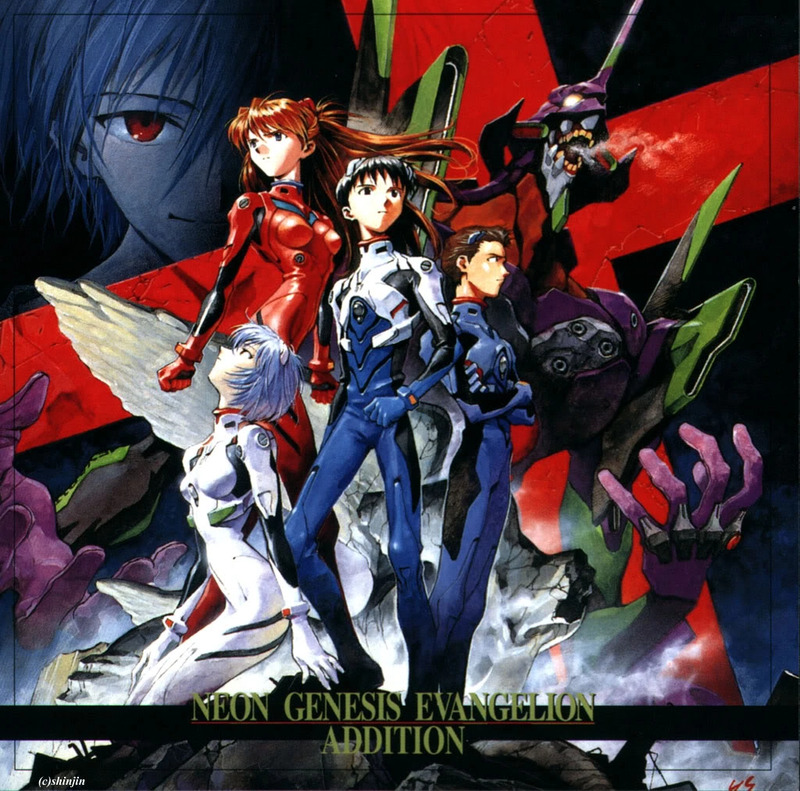 ‘Neon Genesis Evangelion’ is a really popular mecha anime. The year is 2015 in this anime. It is the year when humanity is in the brink of extinction due to extraterrestrial beings, Angels, who want to destroy Earth. Our last hope of survival is an organization by the name of Nerv whose leader is Gendou Ikari. They use the latest technologies to create large mechas, Evangelion, which are our only hope of defense against the angels. Shinji Ikari is an average teenage boy who does not know what to do in life. He has not been in touch with his father for years. But then he encounters him and his life changes forever as he joins Nerv and pilots a mecha, Evangelion Unit-01. Now, the survival of humanity rests on his and his team’s shoulders. 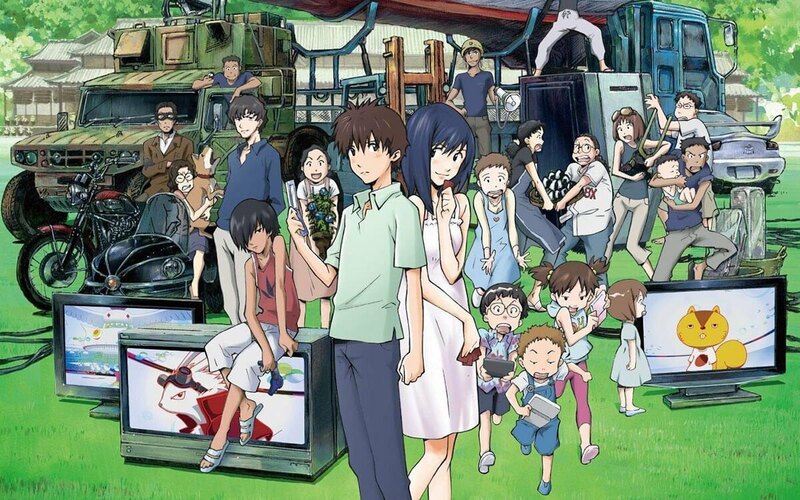 ‘Summer Wars’ is a sci-fi anime movie with a runtime of 1 hour and 54 minutes. In this anime, we have a virtual world, Oz, in which people can do anything they want by creating customizable avatars. This virtual world has the best security which promises to protect people’s data which is in the world. People have really come to depend on Oz even entrusting it to bring back Arawashi, an asteroid explorer. Kenji Koiso is a mathematical genius who is attending a summer party at his friend’s house. He receives a code in his mobile challenging him to break it. He is able to break it but what he doesn’t know is that his natural gift at mathematics has put Earth in grave danger. 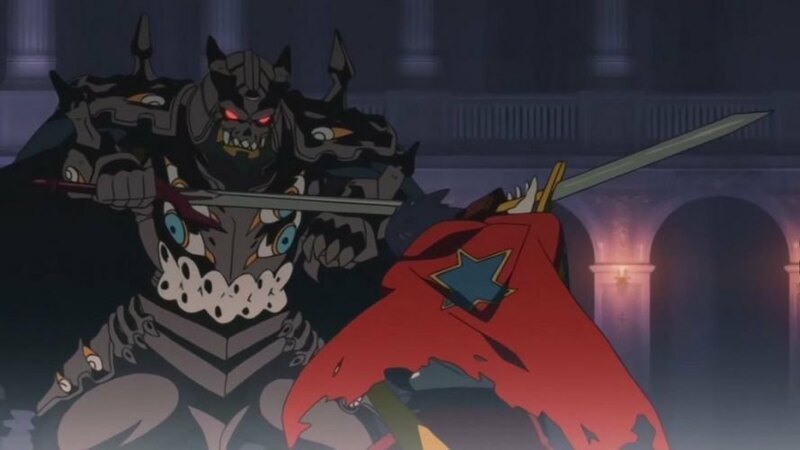 ‘Tengen Toppa Gurren Lagann’ is a really fun adventure, mecha anime. It is one of those anime on the list that you need to watch before the others. In this anime, humans don’t live on the surface anymore since it is now nothing but a wasteland. People have been living in underground villages for a long time and the stories about the surface are nothing more than fables. Simon and Kamina are two adventurous kids living in an underground village who want to explore the surface of Earth. One day while excavating they find an ancient mecha which they name Lagann. Thanks to the mecha and a gun-wielding girl they are able to defend against an attack from the surface. The girl is Yoko Littner and together with the duo ventures out to explore the Earth’s surface. 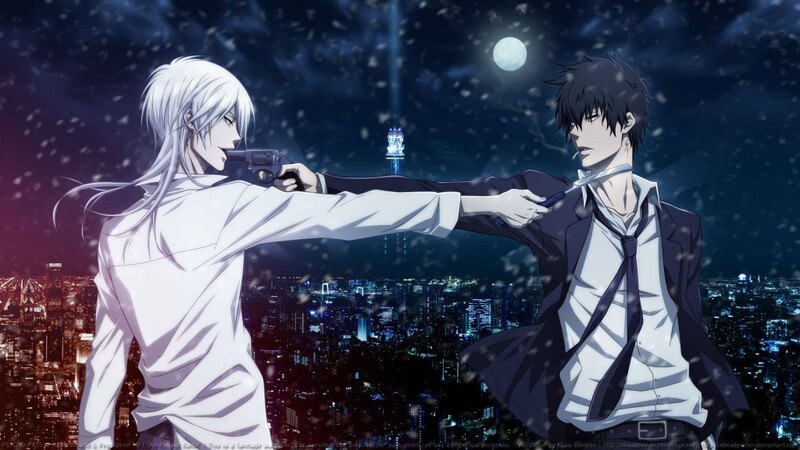 ‘Psycho-Pass’ is for those who like a psychological crime drama with a mix of science fiction. It is the 22nd century and Japan uses the latest technology to fight crime. This technology is the Sibyl System, a system which measures the criminal intentions of citizens which the justice system dubs Psycho-Pass. Inspectors are the implementors of justice and if anyone is found harboring even slight ill-will they face arrest. Among these inspectors are the enforcers, inspectors who are latent criminals. In exchange for their freedom, they do the dirty work of the police. Akane Tsunemori is an inspector who believes in upholding justice. She works alongside enforcer Shinya Kougami. Over the course of her time with him, she realizes that the Sybil System is not perfect and its use may already be corrupt. Sometimes it is fun to watch a sci-fi anime which is not too serious but is still quite entertaining. I find ‘Uchuu Kyoudai’ to be an anime which follows that guideline. It is an anime which one can watch just for fun without getting too much serious. There is no blood, gore, or war but just two simple dudes who are trying to achieve there dream. But be patient with it though since there are 99 episodes in this anime. 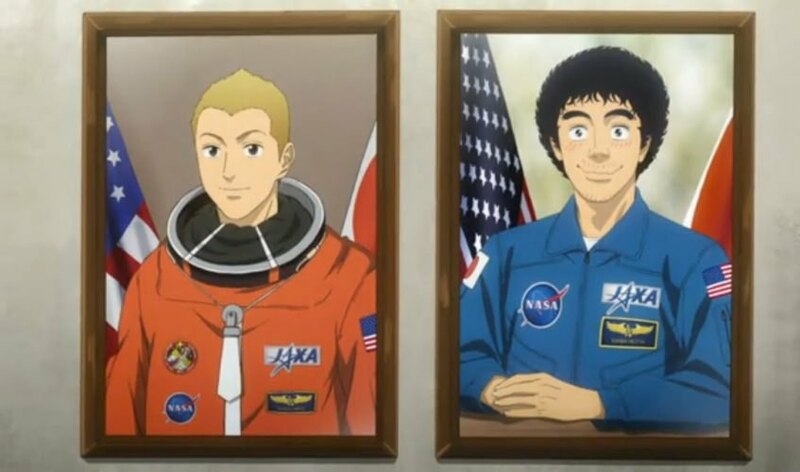 The anime tells the story of two brothers who after witnessing what they believe to be a UFO promise to become astronauts. One of the brothers realizes his dream while the other does not. But later he too gets a chance and is ready to finally fulfill his promise. You will get lots of laughs while watching this. ‘Akira’ is one of the most famous anime movies of all time. This is why I included it in this list where I have tried to include anime which were released in the last two decades. In the year 1988 a young psychic causes an explosion which destroys Tokyo and starts World War III. The government capture and subdue him preventing any further destruction and no one sees him again. Now, in the year 2019, the city is a place for gangs and criminals. Shoutarou Kaneda leads a biker gang by the name of ‘The Capsules’. One day while engaging with a rival gang an esper which escapes from the government facility causes an accident which involves Tetsuo, a friend of Shoutarou. Soon, Tetsuo seems to be developing his own abilities as the government tries to quarantine him. Can Shoutarou save his friend? 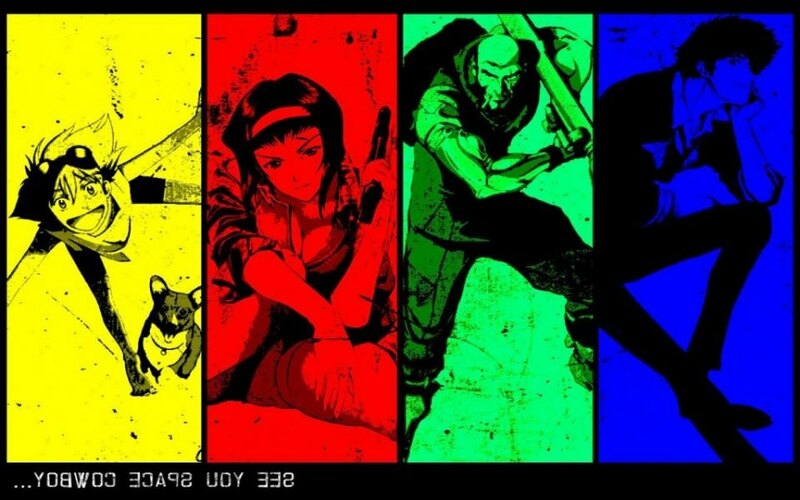 ‘Cowboy Bebop’ is one of the best anime out there. This is a space adventure anime which mixes the western theme in it. The vast expanse of space is too much to handle for the space authorities so they employ cowboys to bring in certain outlaws and collect their bounty to support the justice system. The anime follows a group of bounty hunters who aboard a spaceship, Bebop. As the series progresses we get deeper into the stories of each of the characters as their pasts meet their present. Though the list is not in any order the remaining two anime could easily have been the top two. ‘Steins;Gate’ is a great piece of anime which has one of the most intriguing plots. There are so many turns and twists that it will keep you on you your feet. The story revolves around Rintarou Okabe and his friends. Rintarou is a self-proclaimed inventor but has not yet invented anything yet. But they soon end up creating a device they dub phone microwave by which they can send an email to the past. Soon, they begin to realize the dangers involved in tweaking time as they are chased by an organization known as SERN. 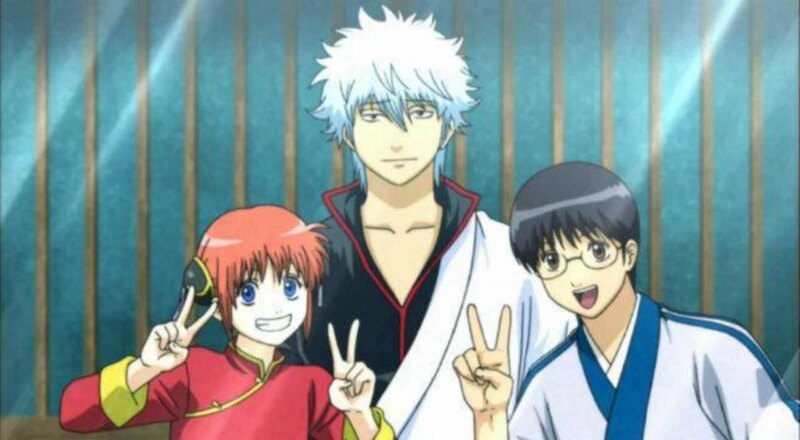 ‘Gintama’ is one of the prime examples of great anime. It is a fun anime which will entertain you to the very core. An alien invasion has taken place in Feudal Japan. The aliens by the name of Amanto have become the rulers. Carrying swords is illegal and samurai of Japan are disregarded. Gintoki Sakata is a man who during these tough times still has the heart of a samurai. He earns his living by doing odd-jobs which takes him and his eccentric team on all sorts of misadventures which end up having bad consequences.